Heat the oil in a large pot over medium heat. Saute the onion until golden brown. 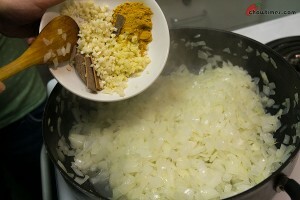 Add garlic, ginger and other spices like cinnamon stick, turmeric, crushed cumin and coriander seeds and chili flakes. 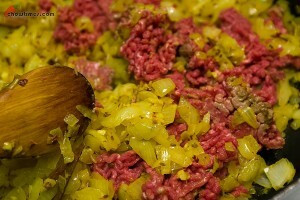 Add beef, stirring to break up the meat. When the meat turns brown, add the potatoes and tomatoes. 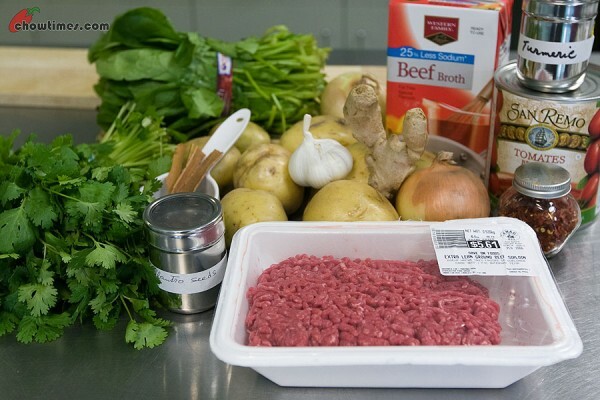 Add beef stock and season with salt and pepper. 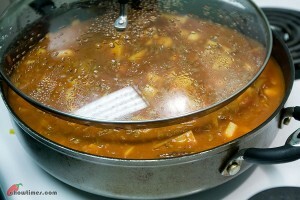 Bring to a boil, cover, reduce heat and simmer for 20 minutes. Stir occasionally to prevent from sticking. 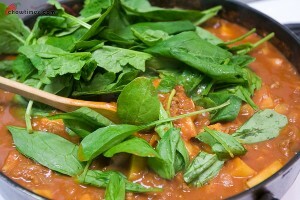 Stir in the spinach into the curry and heat through for 1 minute, just to wilt the spinach. Season with salt and pepper if necessary. 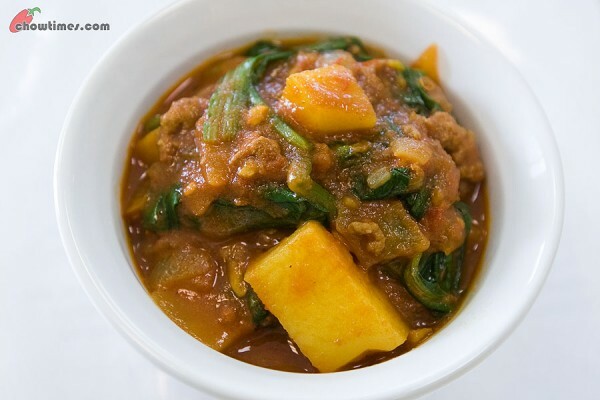 This Beef Curry is best served with steamed rice. Minoo made some Basmati Rice flavoured with Saffron to go with this dish. I tried this and my husband loved it! 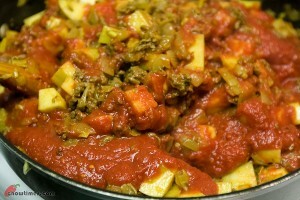 I am often intimidated by Indian style food and this was easy and tasted great. Thanks for the recipe. 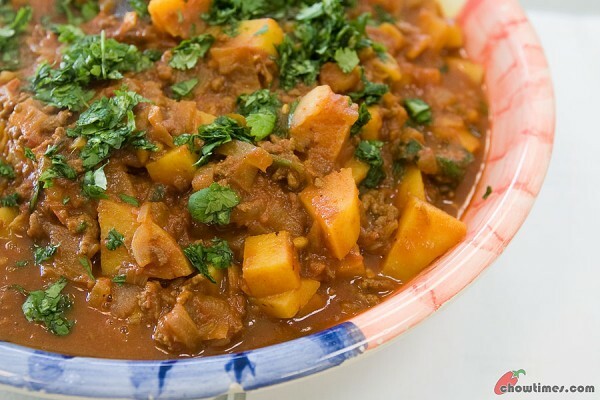 this looks different than the other curry recipes i have and also uses ingredients that are easy to find. i will try it!